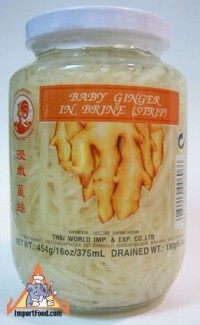 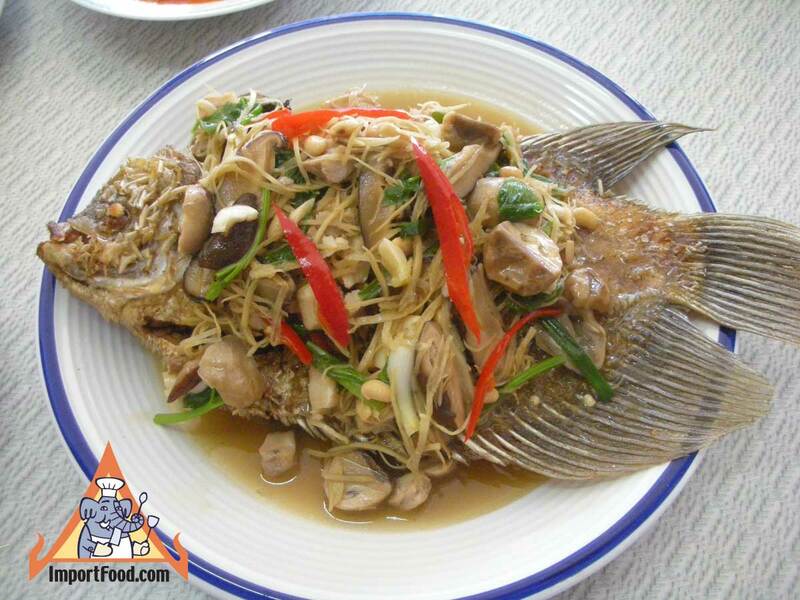 Thai ginger is has a nice gentle flavor that does not overpower the other ingredients, and it's also very aromatic. 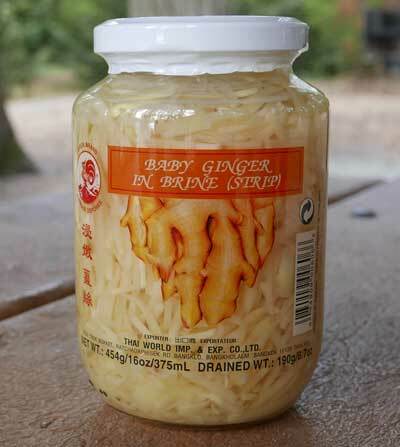 This baby ginger cleaned and sliced into matchstick pieces for the best convenience. We also offer sliced pickled ginger. 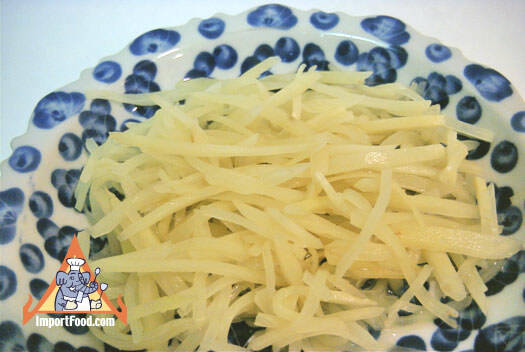 Simply rinse with water, drain and set to dry for a few minutes, then use. Ingredients: water, baby ginger, salt, lactic acid, sodium benzoate.